When English is your second language you are bound to make mistakes when it comes to grammar and spelling. That's where WhiteSmoke ESL Software can be of help. Designed for speakers of English as a second language, WhiteSmoke ESL tool will make sure no embarrassment is caused due to spelling mistakes or grammar mistakes. 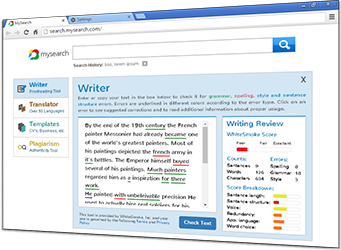 WhiteSmoke ESL Software is based on natural language processing (NLP), and therefore focuses on common errors that are made by ESL writers as well as synonyms, which will help you enrich your text and your writing in general to the level of the EFL speaker. Contextual Spelling - WhiteSmoke will correct your contextual spelling mistakes according to the context of your text. Common Errors - WhiteSmoke database includes common errors made by ESL writers and automatically corrects them. Try our online proofreading tool for free today, and assess the quality for yourself. WhiteSmoke ESL Software detects ESL mistakes in terms of spelling and grammar as well as vocabulary choice. 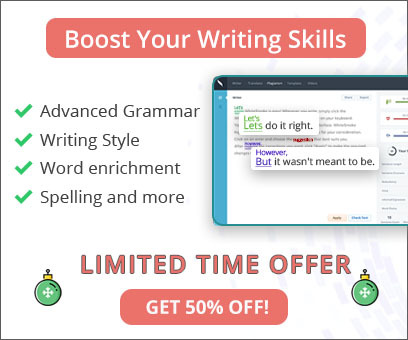 The ESL tool consists of a grammar checker and a spell checker which will ensure your writing will be flawless.